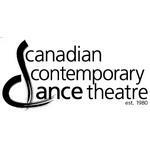 Canadian Contemporary Dance Theatre is an award winning contemporary repertory company in Toronto, ON. They offer young people classes in modern dance and ballet. CCDT was founded in 1980 by Deborah Lundmark and Michael deConinck Smith. Products Carried: Canadian Contemporary Dance Theatre offers modern and ballet dance classes to young people. Located in Toronto, Ontario, the award winning contemporary repertory company offers evening and weekend classes in Music and Movement, Creative Dance, Royal Academy Ballet, Limón Modern, Jazz, Tap and Hip Hop. CCDT also offers summer dance programs, student teacher internships, and classes for adults.